Being a fashionista takes work and money. However, you don’t have to over extend your spending. Although, finding a bargain can be a great challenge. 1. Look for a sale, clearance, or outlet section on the website or at your favorite retail stores. You'll be surprise at the deals you will discover this way. On several occasions, I have saved up to 80% off the original prices. If your retailer is owned by a parent company, also check the parent company’s website for a clearance or outlet section. 2. Compare shops for similar items at different stores and websites. If you plan to wear an item only a few times or occasionally, perhaps you can purchase a similar but cheaper version of the item. 3. Always search for a coupon code before making any final purchases. Many websites, YouTube channels, blogs, and retailer sites actually offer coupons and track these coupon codes along with there expiration dates to help shoppers save. Before placing your order, search for coupons, you might be surprise how much you save. If ordering online, be sure to verify that you have received the discount before completing your order. 4. Go to the website of your favorite plus size retailer and sign up to receive email specials. In addition, if the sign-up form offers a print catalog, request the catalog as well. By signing up, you will receive notifications through e-mails and catalogs of any specials the retailer may be having. Note that you should sign up only with retailers that really interest you or your mailbox may become crammed with excessive emails from undesirable retail stores. 5. Buy clothing out-of-season or pre-season. Many retailers will offer steep discounts on out-of-season items. So always look for those end of season deals. The cost of having to dry clean an item will make that item expensive in the long run. If you are not sure whether an item is machine-washable, be sure to ask the retailer before you buy. 7. Visit local stores or boutiques that are dedicated to plus size clothing and browse through their clearance racks. Some local retailers try to quickly rid their racks of excessive inventory to make room for the latest fashion. 8. Purchase items that coordinate well with what you already have in your wardrobe in terms of styling and color. 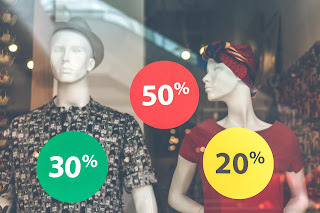 Using the above strategies will help you save on plus size clothing. 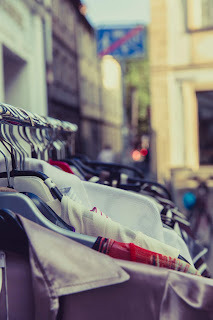 To get the best deals on clothes, consider shopping your local upscale thrift shops, you'll be surprise at the light used designer gems you'll find. Dressing with style doesn’t have to be an expensive endeavor for the full-figured woman. It just takes planning and effort to search for those deals. Leave us a comment below on your tips for finding your fashion bargains. I always try to pair a coupon code with an already deeply discounted sale event. You can make BANK like that. I tend to try to stop in frequently at my favorite clothes shops and just do a quick browse to keep an eye and see what's in stock. I've been able to slowly build up a nice collection of outfits that way. My friend is in plus sizes I will have to tell her to try these tips. I think this is good info to know, clothes shopping can be so expensive! Thank you so much for posting these! I have the hardest time finding good clothes in my size. Such great tips! When I shop online, the sale and clearance sections are the sections that I check first.